It was Chloé who held space for us. Chloé in the name of Brigit, the Celtic goddess of fertility. 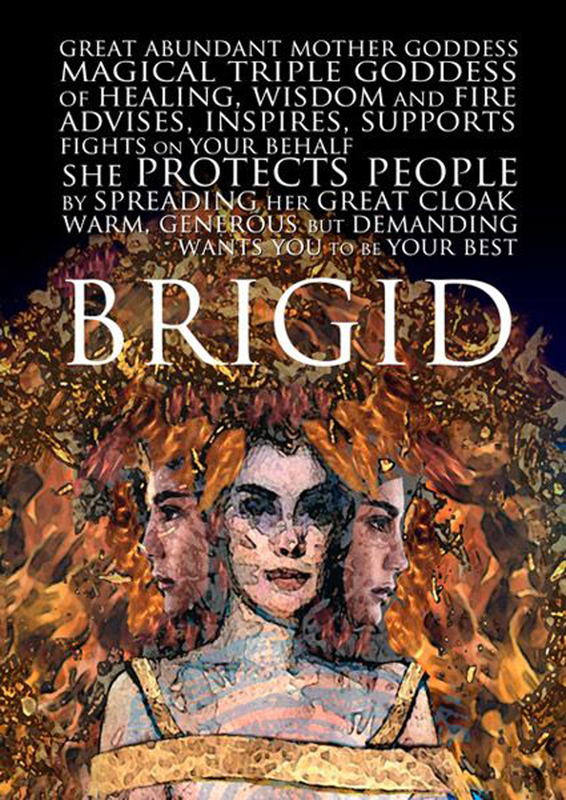 Brigit, the saint in Celtic traditions is embodying the 3 faces of a woman: the girl, the mother and the crow. 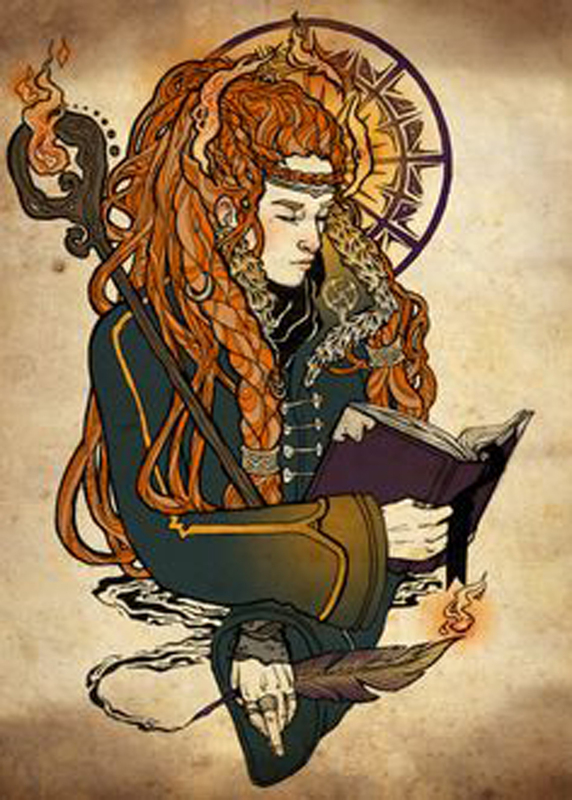 She is strong, fiery and means the bright one or high one in the Celtic language. Here in that month of darkness, where the light just slowly gets brighter, to heal us, to transform us to believe in us and to connect us with our rooted instinct. In those months of low light like January that we passed already and February coming to an end, the light gets brighter and more present. 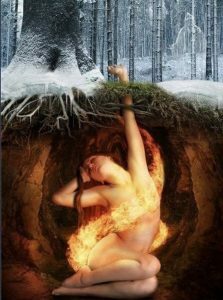 The 2nd of February precisely in the Celtic tradition we celebrated IMBOLC. The first signs of spring. The seasonal change where we say slowly goodbye to winter and welcome first symbols of spring. We make way and space for spring. This is what Chloé brought to us as a reminder of the old traditions most of us come from and some of us have forgotten about it. She read out of the la femme savage book and as a highlight made us journey into our own shamanic roots. Together we sat intentions, each individually but still connected. 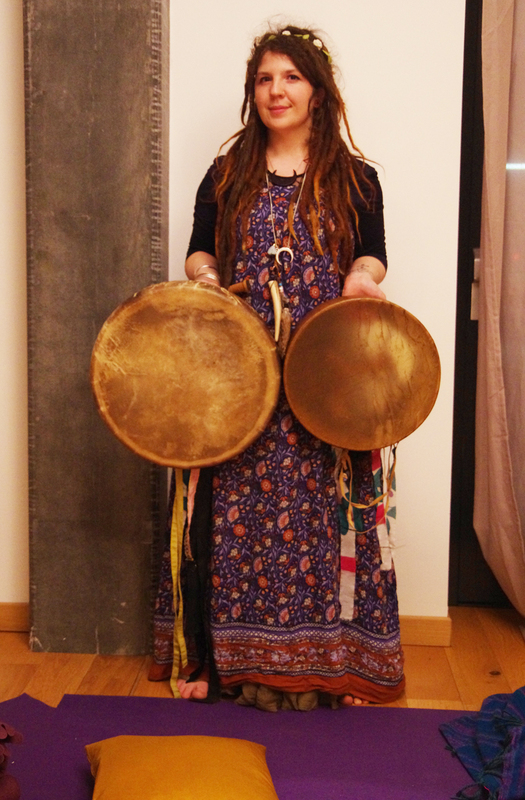 Chloé, the wild fairy with the drums in her hands, holding it in front of her chest, breast, heart, in front of her womb and creativity and drums for all us. Like a warrior, she stands up and drums. Drums and drums to make our journey into our inner self, our deepest knowledge and seed we own. To receive the answers, to set the intention deep within. We felt the sun above us falling into us, all in our own way. Expressing and feeling the answers we sought as unique as we are. For me clearly, it is to use my voice and to trust that. 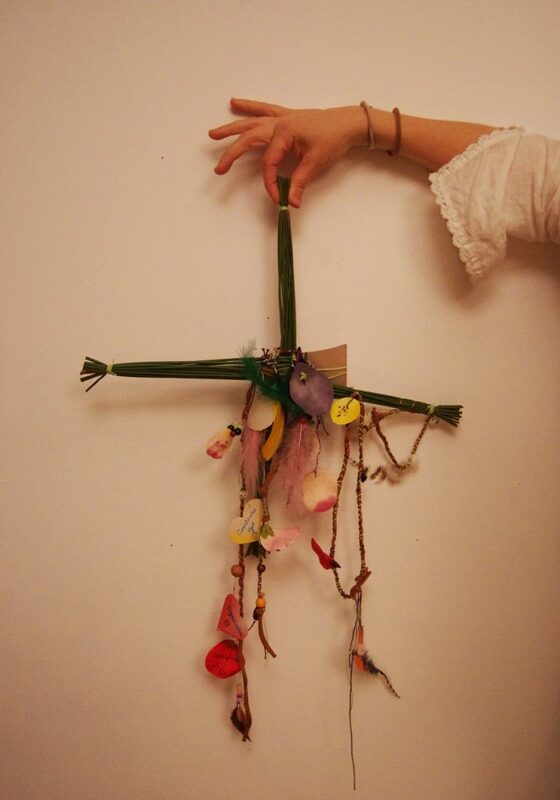 Finalizing and embedding it and celebrating the birth of our new light which is upcoming with Brigit’s Cross. 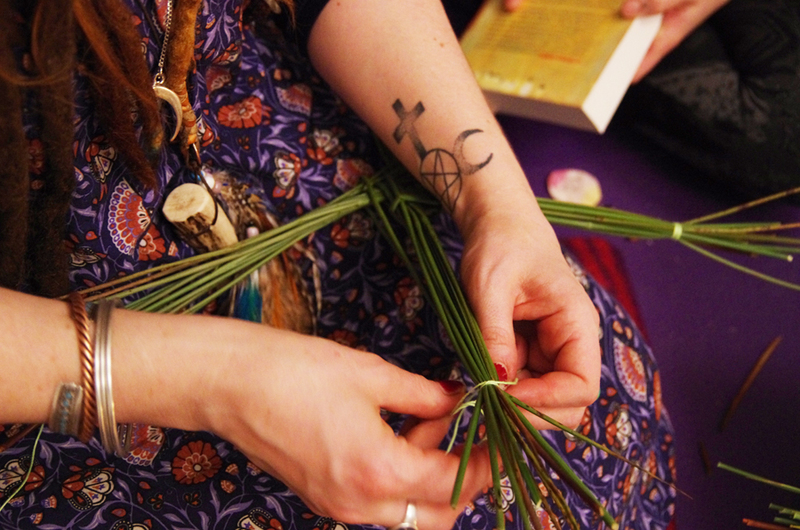 Weaving out of Cane, a flexible woody grass that keeps its green for the whole year, again symbolizing the strength and force of this female woman saint. 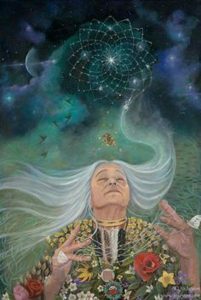 We waved the Cross, each one of us added to it and together we embedded our intentions our answers from the shamanic journey into it as a symbol or word. ONCE MORE WE SAT TOGETHER IN THE CIRCLE, LEAVING IT BUT NEVER BREAKING IT. WE LEFT EMPOWERED BY ONE OF US BUT MAINLY BY THE REMINDER OF EACH OF US. 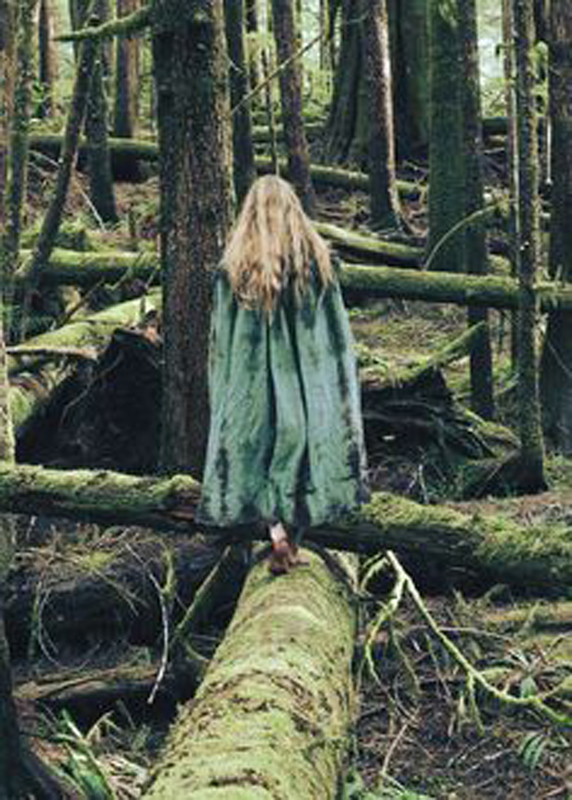 STRONG AND LIGHT LIKE BRIGIT WE ENTER SPRING UNTIL WE MEET AGAIN. RECONNECTED TO THE SEEDS IN US GUIDED BY CHLOÉ TO FIND IT. 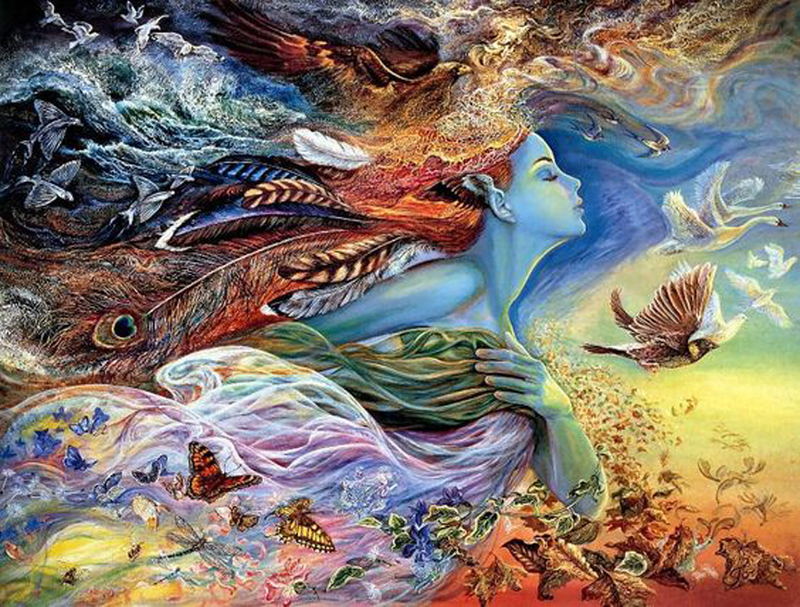 WE BOND, WE WEAVE, WE LIGHTEN UP THE PART IN US WE PUT AWAY FOR WAY TOO LONG….